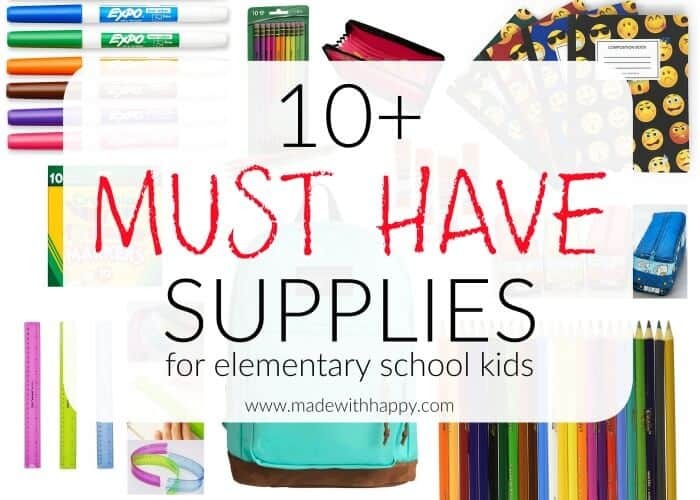 These must have school supplies for elementary school kids will always be necessary. 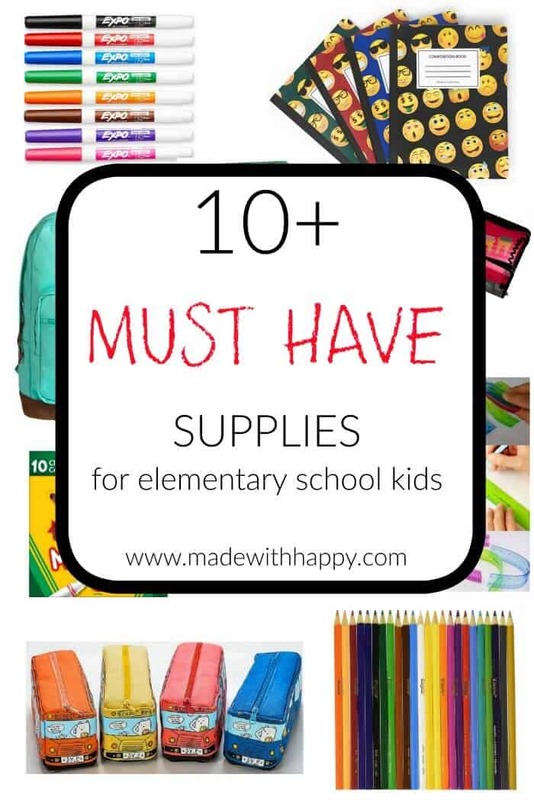 These fun and fantastic supplies are bound to make every elementary school child ready for school and excited to learn! Teachers will appreciate the head start on the school supplies too. Happy School days are upon us! Have fun kiddos! 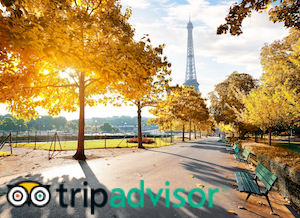 Backpack – While this might be a no-brainer, we want to add that a good quality backpack is KEY. 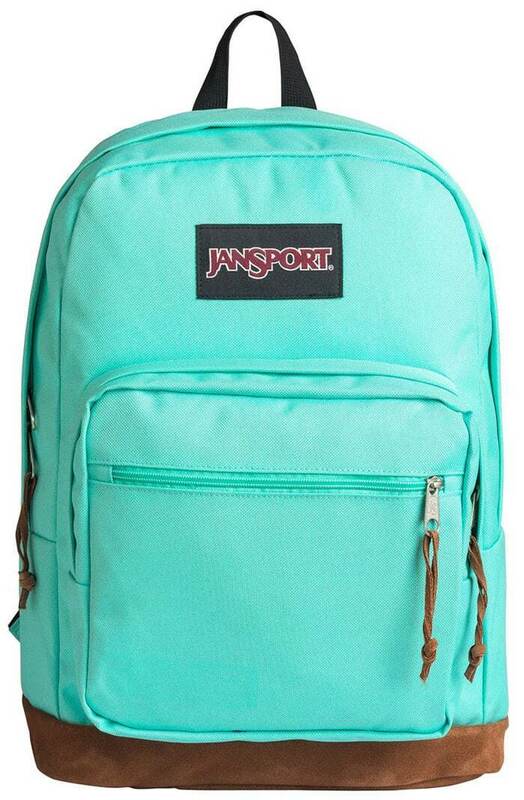 Having gone through our fair share of cheaply put together backpacks, a good quality backpack can last many a school years saving lots of $$$. 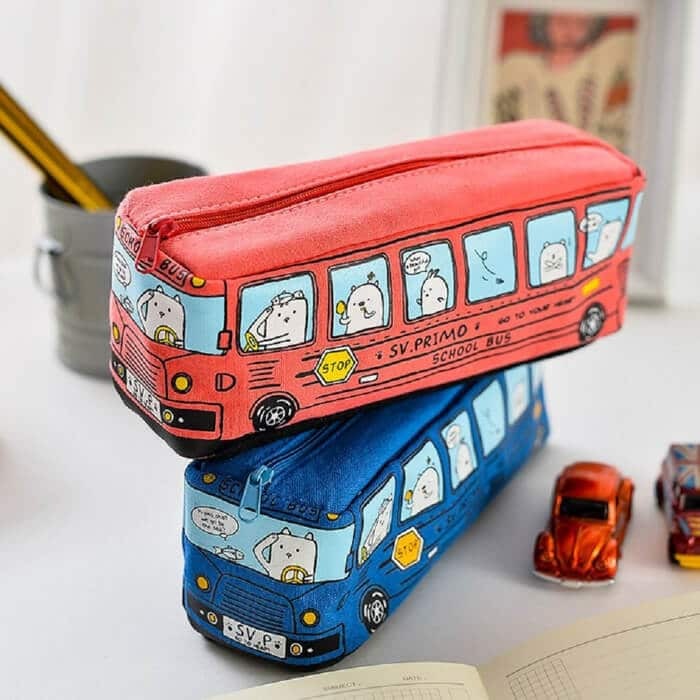 Pencil Pouch – Keeping your pencils in a pencil box or pencil pouch is necessary for not only keeping your backpack clean from lead and pen leaks, but making sure the lead doesn’t brake, and your student always knows where to find a something to write with. No. 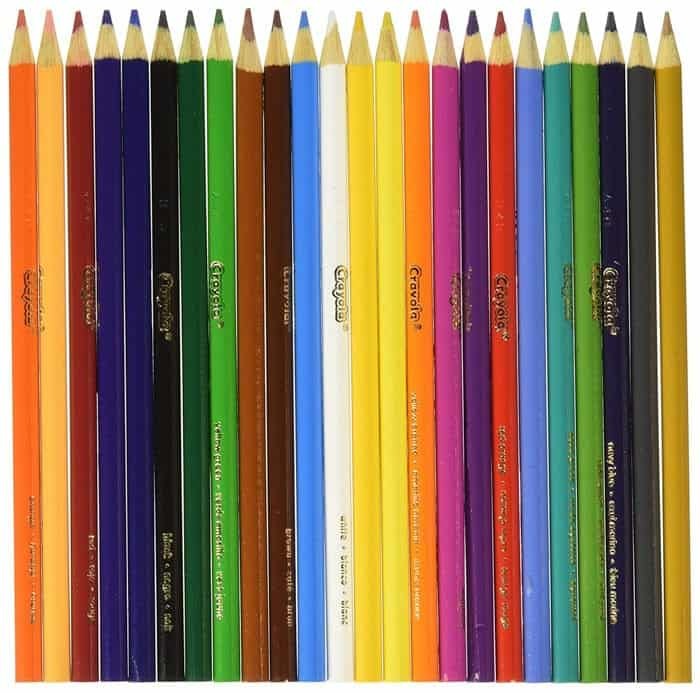 2 Pencils – A supply of number 2’s is always necessary, but why do they always have the yellow ones. Spice it them up with these fun and colorful ones! 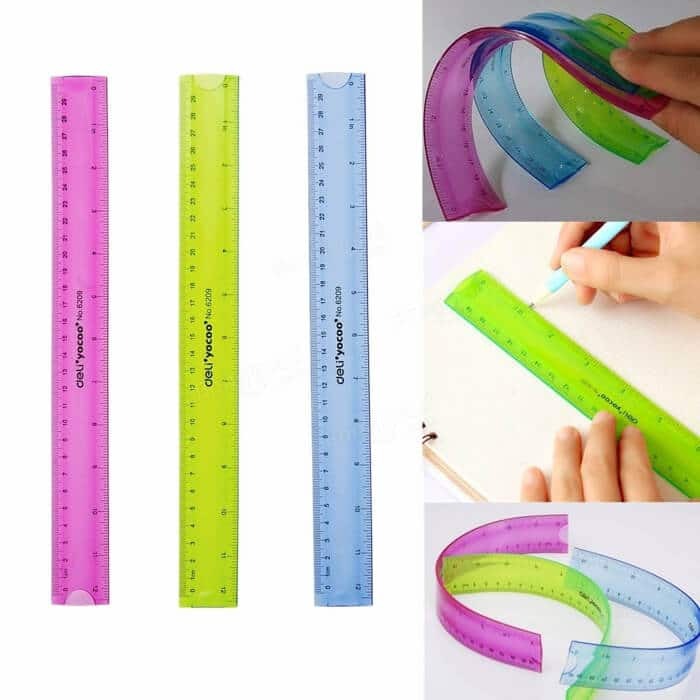 Rulers – We love the idea of these flexible rulers. We know that school supplies take a beating and so the flexible ruler can stand the test of time. Markers – There are never enough markers. Starting with one box at the beginning of the year is always smart. Maybe even buying two or three boxes, might be even smarter. 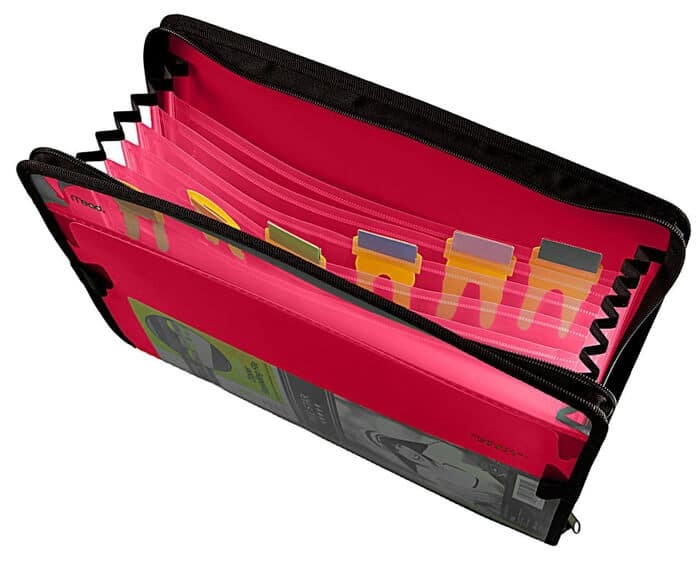 Expanding Pocket Folders – While this might seem like something for kids in higher levels with different subjects, it can be useful for the younger grade students in learning to separate their work, have a place for art, and completed projects. 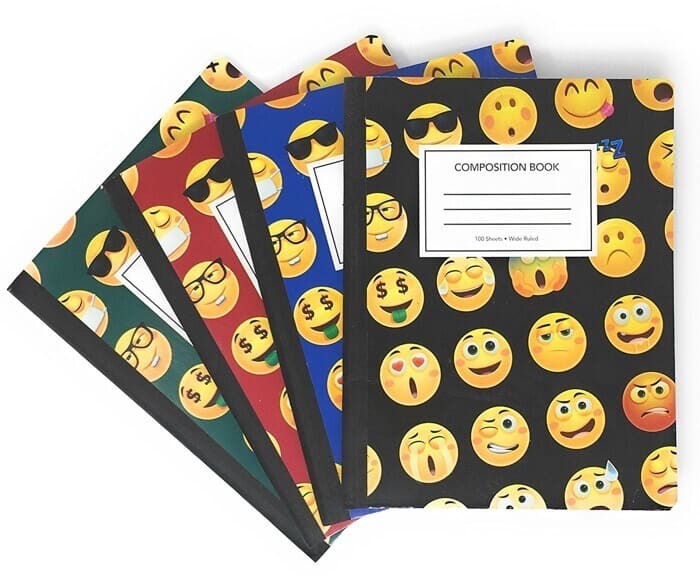 Composition Books – They are necessary for notes, writing practice and for keeping everything in one place. Who wouldn’t want an emoji covered one? 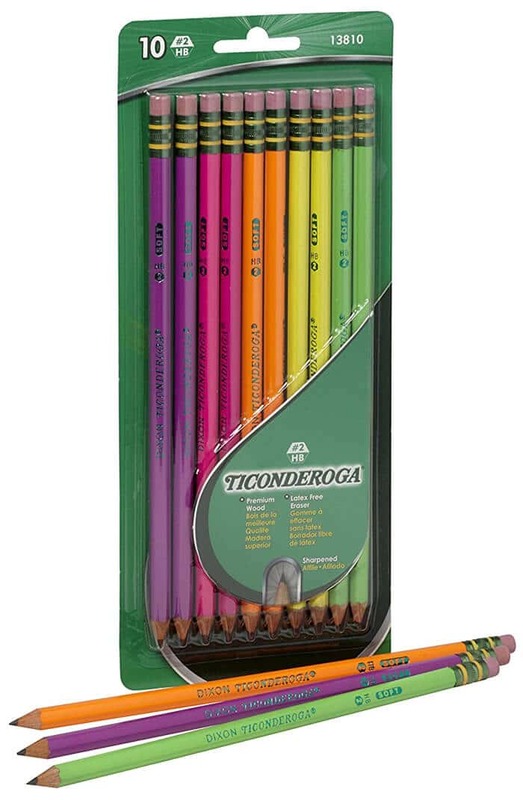 Colored Pencils – You can never have too many colored pencils. 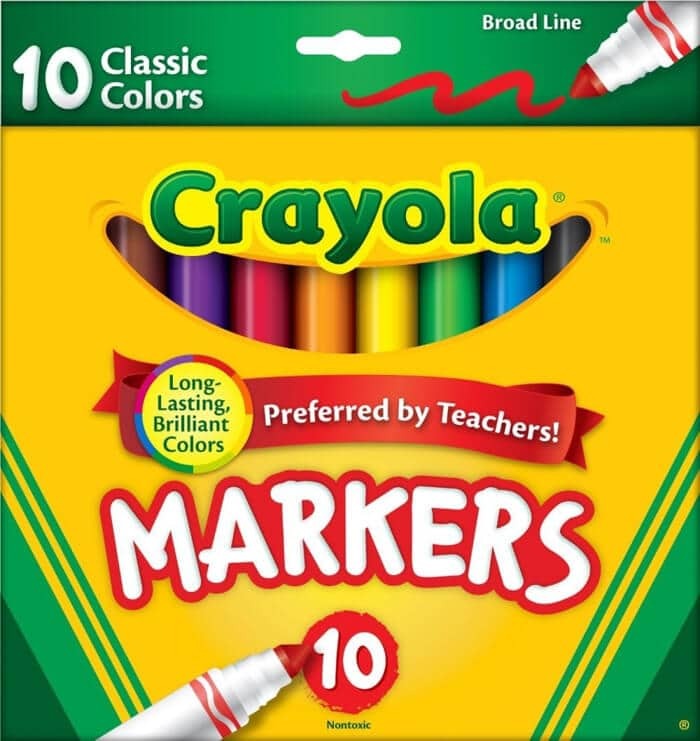 They are great for different classroom activities as well as coloring and art. 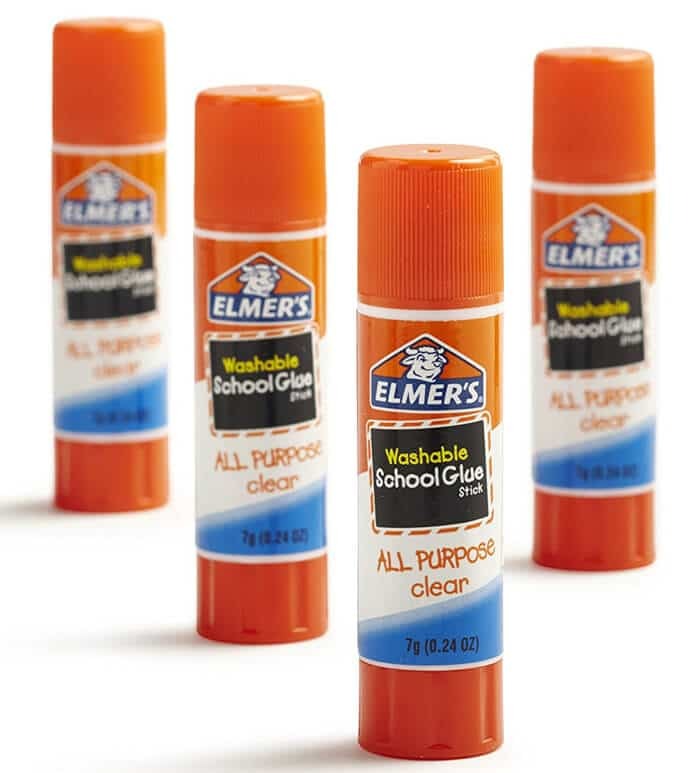 Glue Sticks – MUST! 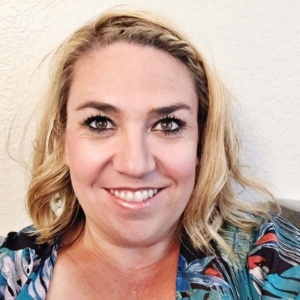 Each kids goes through a ton each school year and there never seems to be enough. Stock up! 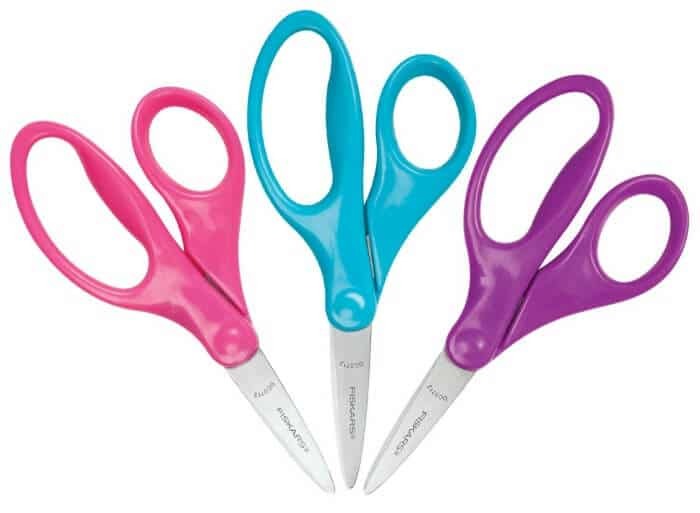 Scissors – As much as glue sticks, kids use these every day both at school and at home. Stock up to make sure they always have a pair. Reminder there are right handed and left handed scissors. Make sure your child knows which one they should be using. 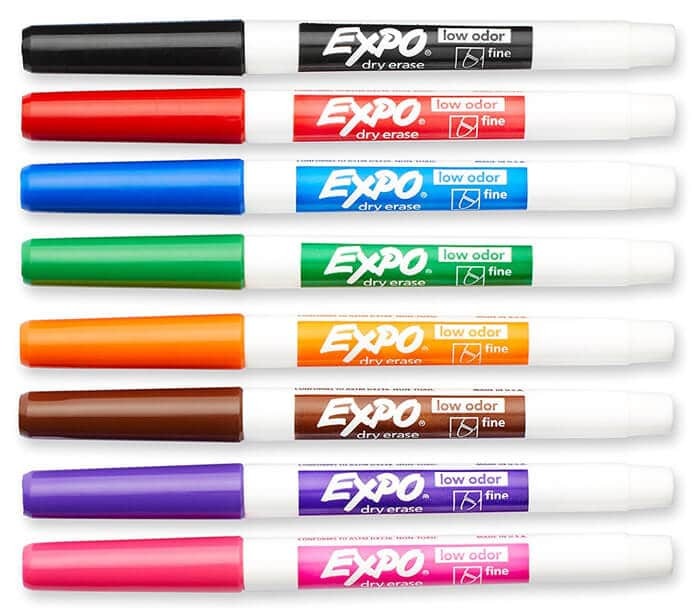 Dry Erase Markers – While this might not seem like a necessary item, it is becoming more and more necessary with dry erase boards for kids to practice writing on and many classrooms having dry erase boards instead of chalk boards. They are great for practice for the younger students and even better for weekly planning for the older kids.